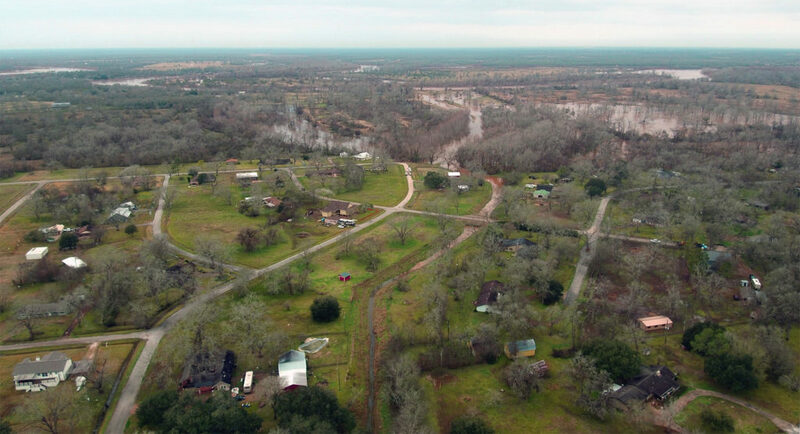 FORT BEND COUNTY, TEXAS – The Fort Bend County Office of Emergency Management continued to monitor the Brazos river over the weekend along with our local, state, and federal partners. While the forecast is lower and should still crest on Wednesday, the river levels continue to rise. Low lying areas along the river may continue to see minor flooding, but once the river crests the levels are expected to fall rapidly. The river’s forecast crest level of 45 feet is about 10-feet lower than both Hurricane Harvey and Memorial Day in 2016, and 5 feet lower than Memorial Day and Tax Day flooding in 2015. 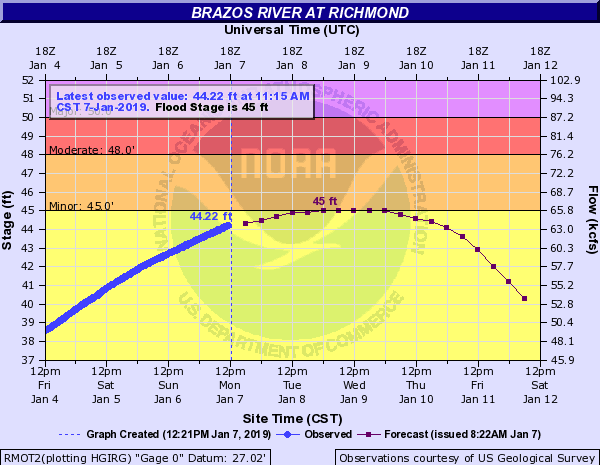 Brazos River in Richmond Hydrograph showing project crest of 45-feet. / El río Brazos en el hidrograma de Richmond muestra una cresta de 45 pies. The Office of Emergency Management is monitoring the river, bridges, critical infrastructure, and neighborhoods along the river. Earlier this morning, the Office conducted overflights of the Simonton area to determine any threat to the public, observing that drainage systems are functioning as designed, and crews from the Fort Bend County Drainage District are working diligently to clear ditches before the river rises further. The Office of Emergency Management will continue to monitor as conditions develop. CONDADO DE FORT BEND, TEXAS – La Oficina de Manejo de Emergencias del Condado de Fort Bend continuó monitoreando el río Brazos durante el fin de semana junto con nuestros socios locales, estatales y federales. El pronóstico de la cresta del río es más bajo y aún para el miércoles, los niveles del río continúan aumentando. Es posible que las áreas bajas a lo largo del río continúen viendo inundaciones menores, pero una vez que se alcancen las crestas, se espera que los niveles caigan rápidamente. El nivel de la cresta pronosticado del río de 45 pies es aproximadamente 10 pies más bajo que el huracán Harvey y las inundaciones de Memorial Day del 2016 y 5 pies más bajo que las inundaciones de Memorial Day y Tax Day del 2015. La Oficina de Manejo de Emergencias está monitoreando el río, los puentes, la infraestructura crítica y los vecindarios a lo largo del río. Esta mañana, la Oficina realizó vuelos en el área de Simonton para determinar cualquier amenaza al público, observando que los sistemas de drenaje funcionan como se diseñaron, y el personal del Distrito de Drenaje del Condado de Fort Bend está trabajando diligentemente para limpiar las zanjas antes de que el río siga avanzando. La Oficina de Manejo de Emergencias continuará supervisando a medida que se desarrollen las condiciones. FORT BEND COUNTY, TX – Fort Bend County Judge KP George visited the Emergency Operations Center today to get updates from the Office of Emergency Management following an update call form the National Weather Service. As the rain continues to move out of our area, reports indicate that up to 3 inches of rain fell in parts of the County. The areas to the north and west which drain into the Brazos River saw as much as 4 inches, but generally the same 1-3 inch volume we had here in the County. The Fort Bend County Drainage District is monitoring stream gauges upstream of the Brazos and we will have a clearer picture of the crest timing and level on Friday, January 4th. Any impact along the Brazos would be expected in the middle of next week at the earliest. The San Bernard river is not expected to flood in Fort Bend County and the Barker reservoir is still low, under 9% of capacity. The Fort Bend County Drainage District is continuing to send reports to the Emergency Operations Center, and Office of Emergency Management staff are closely monitoring the situation. 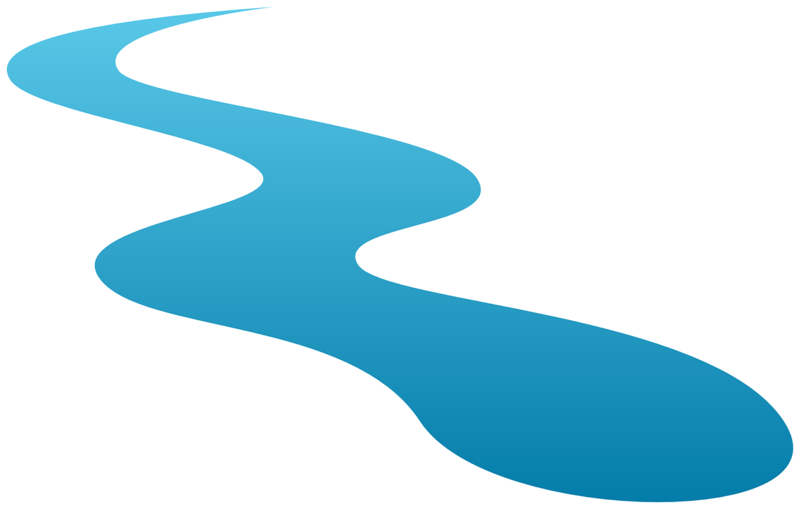 Residents should check the Fort Bend County Office of Emergency Management Rivers page for more information about the rivers in the County, and continue checking the Office of Emergency Management Facebook and Twitter pages for updates as conditions warrant. CONDADO DE FORT BEND, TEXAS – El Juez KP George del Condado de Fort Bend visitó hoy el Centro de Operaciones de Emergencia para recibir actualizaciones de la Oficina de Manejo de Emergencias luego de una llamada de actualización del Servicio Nacional de Meteorología. A medida que la lluvia continúa saliendo de nuestra área, los informes indican que cayeron hasta 3 pulgadas de lluvia en partes del Condado. Las áreas al norte y al oeste que drenan en el río Brazos vieron hasta 4 pulgadas, pero generalmente el mismo volumen de 1-3 pulgadas que teníamos aquí en el Condado. El Distrito de Drenaje del Condado de Fort Bend está monitoreando los medidores de corriente del Brazos y tendremos una imagen más clara de los tiempos y el nivel de la cresta el viernes, 4 de enero. Cualquier impacto a lo largo de los Brazos se esperaría a mediados de la próxima semana. No se espera que el río San Bernard se inunde en el condado de Fort Bend y el embalse de Barker todavía está bajo, a 9% de su capacidad. El Distrito de Drenaje del Condado de Fort Bend continúa enviando informes al Centro de Operaciones de Emergencia, y el personal de la Oficina de Manejo de Emergencias está monitoreando de cerca la situación. Los residentes deben consultar la página de Ríos de la Oficina de Manejo de Emergencias del Condado de Fort Bend para obtener más información sobre los ríos en el Condado, y continuar revisando las páginas de Facebook y Twitter de la Oficina de Manejo de Emergencias para obtener actualizaciones según lo exijan las condiciones. FORT BEND COUNTY, TEXAS – The Fort Bend County Office of Emergency Management is monitoring the Brazos river levels and forecast rainfall for the Brazos watershed. The river has crested in Richmond from our previous rainfall and is expected to drop slightly before the rain from the current storms falling upstream makes it to the County. The West Gulf River Forecast Center forecast a crest of the Brazos River in Hempstead (approximately 30 miles north of Fort Bend County) around 52.4′, which would be the 4th highest measurement on record, but it is probable that the current forecasted crest will be adjusted downward as rainfall totals continue to be measured. Any impact to Fort Bend County would be seen as early as next week, and more accurate river forecasts from The West Gulf River Forecast Center will be available on Friday when most of the expected rain has already fallen. 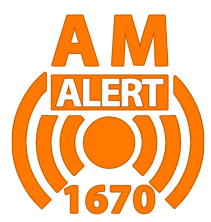 “We are not anticipating any adverse impact to County residents at this time,” says Mark Flathouse, Interim Emergency Management Coordinator for Fort Bend County, “but the Office of Emergency Management is working with our regional partners and is prepared to take action if needed.” Residents should monitor local media, and check the Fort Bend County Office of Emergency Management’s Facebook and Twitter pages for more information. CONDADO DE FORT BEND, TEXAS- La Oficina de Manejo de Emergencias del Condado de Fort Bend está monitoreando los niveles del río Brazos y el pronostico de lluvia para la cuenca del río Brazos. El río ha alcanzado su cresta en Richmond con la lluvia que calló y se espera que el río caiga de nivel un poco antes de la lluvia de las tormentas que caen río arriva llegue al Condado. Cualquier impacto en el condado de Fort Bend se verá la próxima semana, y los pronósticos de ríos más precisos del West Gulf River Forecast Center estarán disponibles el viernes, cuando ya haya caído la mayor parte de la lluvia esperada. Students from Shady Oak Primary School, judge-elect KP George and OEM staff pose for a group photo. FORT BEND COUNTY, TEXAS – What would you do if a monkey climbed in your window while you were sleeping, turned on your bathtub, and flooded your house? These are pressing questions for elementary school kids if your community has flooded recently. When you hear the words “staff meeting,” you might not break into song, but that’s exactly what seventeen students from Shady Oak Primary School did when they visited the Fort Bend County Emergency Operations Center during the Office of Emergency Management’s weekly staff meeting. The After School Choir Club, led by their Director Ellen Graham and the Art Director Stevie Ballow, visited the Fort Bend County EOC Monday morning, presenting cookies and singing an arrangement of Born on Christmas Day. Also present were judge-elect KP George his Chief of Staff, Taral Patel. 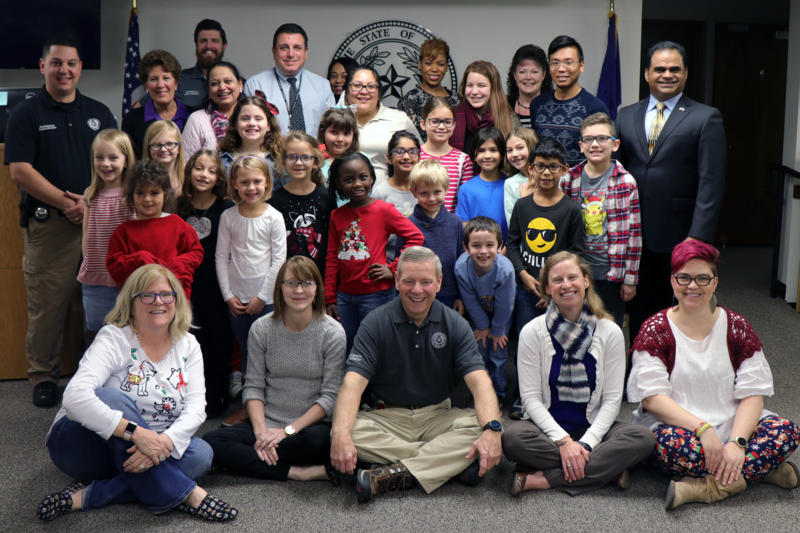 The students from Shady Oak chose the Office of Emergency Management to be recognized during their “Week of Giving,” a time when they give to those in need and show appreciation for community organizations which serve the public. Often times the service of the Emergency Operations Center staff and volunteers are overlooked, but a long-term partnership with Shady Oak means that students and parents from that school are well aware of the sacrifices made by this office, even as recently as last Friday night for the anticipated rain and flooding.